Do you switch between multiple sleeping positions? Need essential support to your head and neck throughout the night? Enter contest below to win a Sleep Wellness Bundle that includes pillows for a good night sleep. 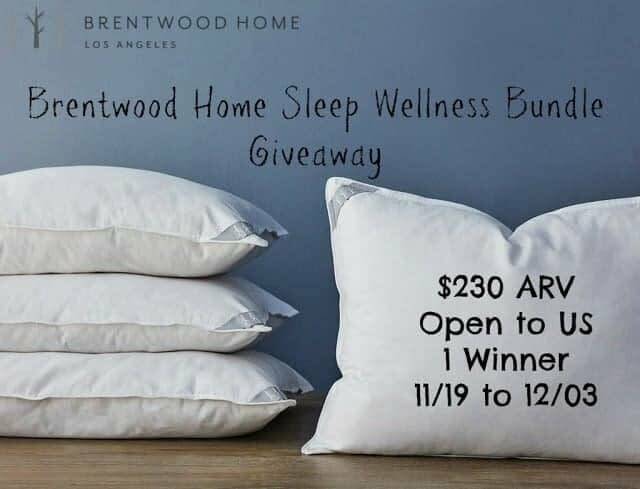 Check out Amy & Aron’s Real Life Reviews’ review of the Brentwood Home Sleep Wellness Bundle Here. Get your Sleep Wellness Bundle Here now. Disclaimer: Work Money Fun or other Bloggers promoting this giveaway are not responsible for shipping the prize. Sponsor is responsible for awarding the prize. I like a good pillow.